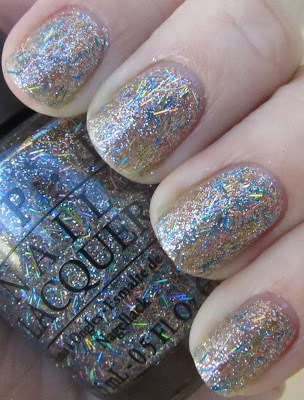 Polishology: OPI Nicki Minaj Collection - Swatches and Review! Following in last year's footsteps of a celebrity spring mini-collection, this year OPI released the Nicki Minaj collection, consisting of three bright cremes, two glitters, and a brand new shade of shatter. I have been super excited about this one ever since I saw the promos, and I was not disappointed! 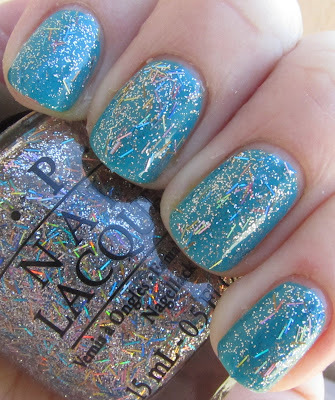 Fly is a bold and bright teal blue creme. I absolutely love this color - I think it might be my favorite of the collection! I am sure there are probably similar shades out there, but this is a unique shade of teal in my personal stash. It is very bright and in your face and beautiful. Smooth application in two easy coats. 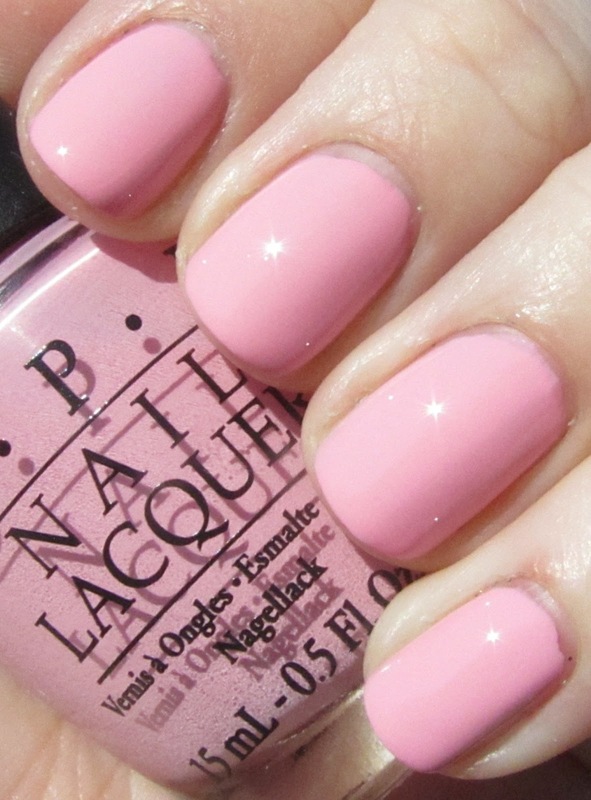 Pink Friday is a bright, bubblegum pink creme. I feel like I am constantly looking for the perfect bubblegum pink and this may just be it. Once again, two smooth and creamy coats for full coverage. Did It On 'Em is a bright yellow-green creme. 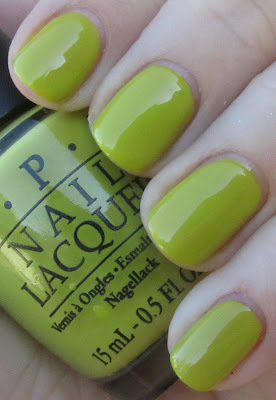 This color feels really springy to me - but not a soft warm fuzzy spring, a bold in-your-face spring, haha. 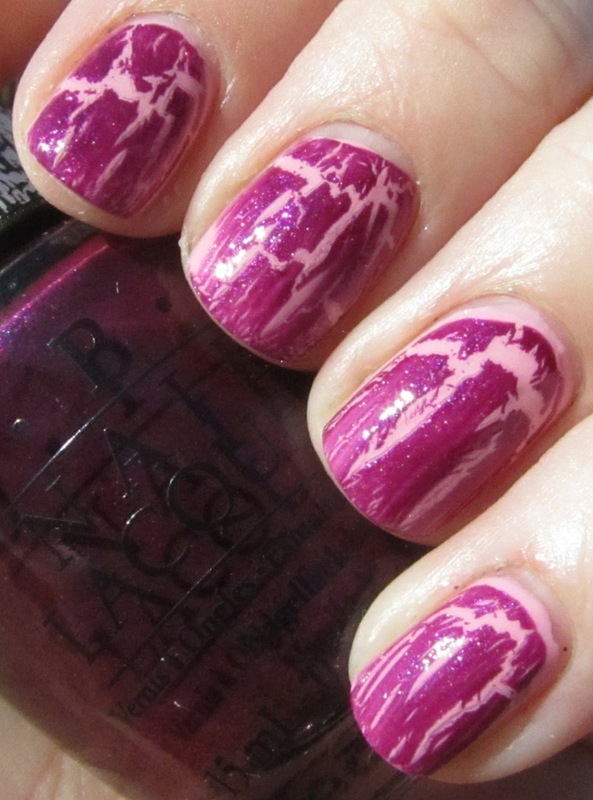 Two easy coats. Metallic 4 Life is a black-based polish full of silver glitters of all different sizes. 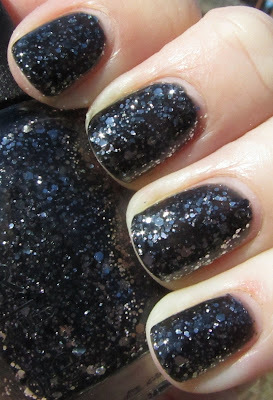 This is unique (as far as I know) in terms of black with silver glitter, and the multi-sized glitter give it a really interesting overall look. Three coats. 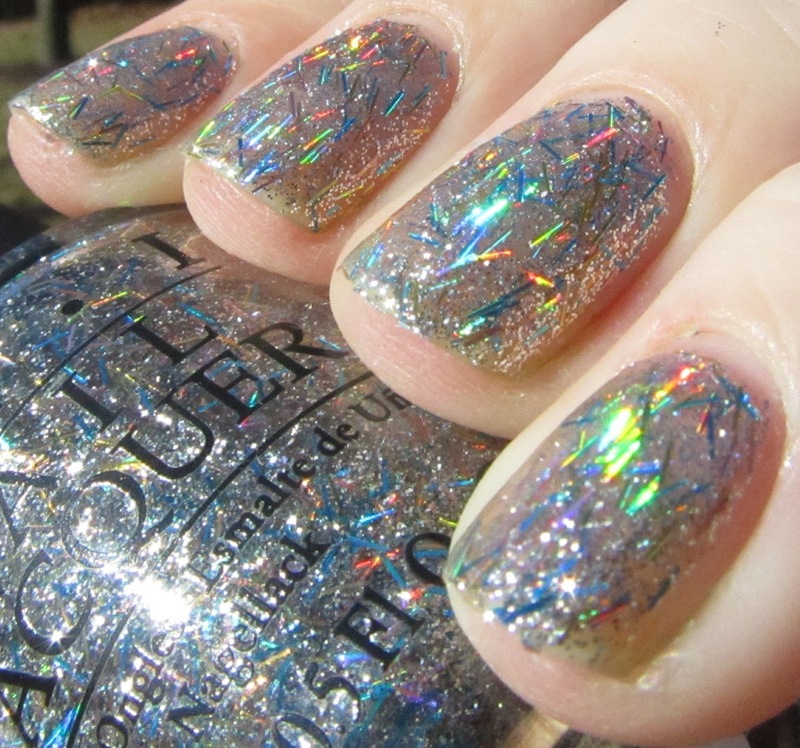 Save Me is a clear-based polish with silver glitter and blue holographic bar glitter. Very unique and pretty. The bar glitter really shows off its holo effect, even in the shade. Three coats for the coverage shown; I also have shown one coat layered over Fly, which was really pretty. 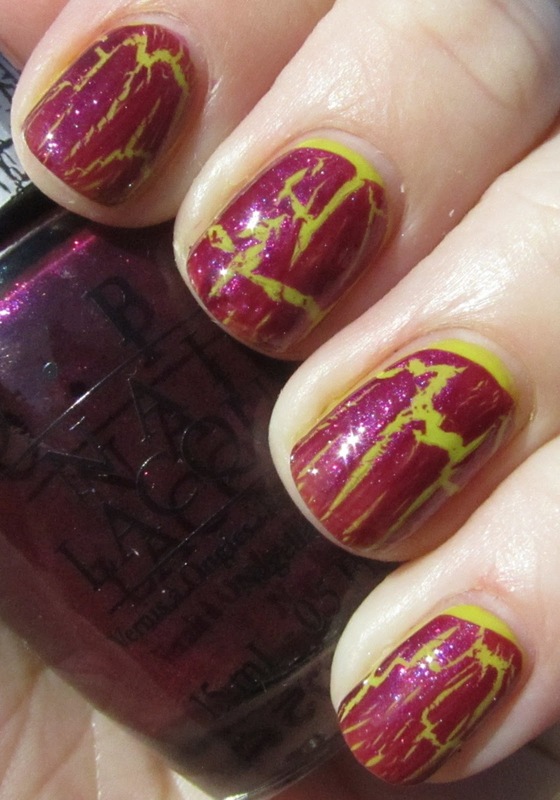 Super Bass is the newest shatter from OPI, a glittery magenta. It applies nicely and I didn't have a problem getting it to shatter decently. 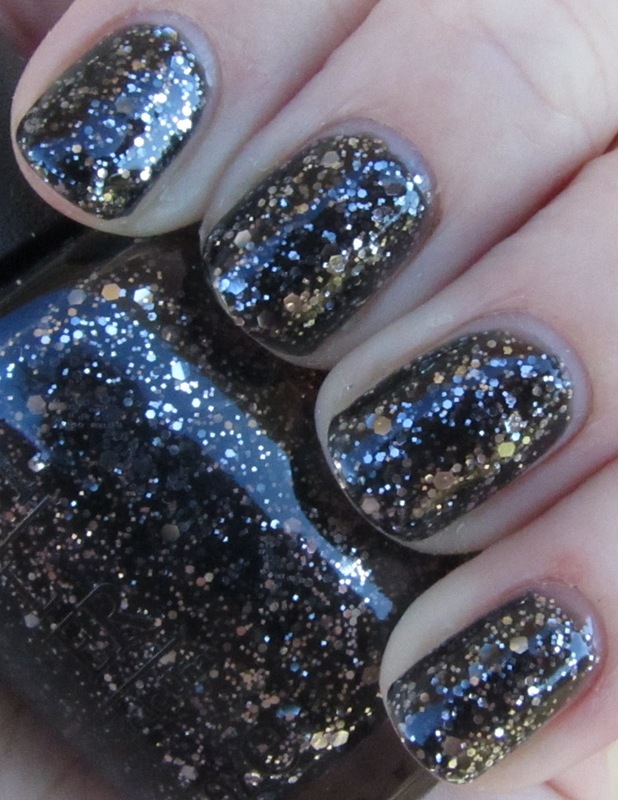 I love the shimmer in this one, and the color is really pretty with all of the creme shades in the collection. One of my favorite shatters released by OPI to date! I love Fly!!! Great swatches. The only one I got was Metallic 4 Life and I love it!! I think I want Save Me too. Oh Pink Friday is a beautiful pink color.